After decades of hype over artificial intelligence, machines still aren’t very smart. Despite claims to the contrary, nobody can predict when that will change, least of all IBM CEO Ginni Rometty — or Big Blue’s supercomputer Watson. Rometty said in a recent CNBC interview that IBM’s AI can predict which employees will quit their job with 95% accuracy. This from a company that has been promising AI breakthroughs, a Smarter Planet and all manner of marketing fluff for as long as I can remember. Excuse me for being skeptical. Meanwhile IBM’s sales continue to contract, year in and year out. Maybe Rometty should ask Watson to predict when it will actually be useful in boosting revenues. Just a thought. Once a mighty behemoth, IBM’s measly $125 billion market cap now barely cracks the top 40 behind the likes of Adobe, Nike, SAP, McDonald’s and Netflix. Not only that but Apple, Microsoft, Amazon and Alphabet are all about 7x more valuable. But then, this is not all about IBM. All those tech giants have invested heavily in cloud-based AI engines that add some level of predictive capability to big-data analytics. And personal assistants like Alexa are becoming more and more useful. But intelligent? That’s a stretch. The same is true of ecommerce recommendation engines – ironically another field that IBM was pioneering way back in the 90s. Those sites are now primarily powered by Amazon Web Services, Google and Microsoft. And I still think the best way to find what you’re looking for is good-old-fashioned index-based search. Nothing smart about it. I’m not trying to dampen everyone’s enthusiasm but to remind folks that AI has been the next big thing for as long as I can remember. Texas Instruments had AI on its short list of research initiatives way back in the early 80s. Nearly 40 years later and smart personal assistants are still choking on simple commands. How long before they’re capable of conversation is anyone’s guess. In the same interview where she boasted about Watson’s HR capability, Rometty said that 100% of jobs will change as a result of AI within a decade. When have I heard that before? Oh, that’s right; I’ve been hearing that machines are going to take or change all our jobs since I was a little kid. Give me a break. The truth is, artificial intelligence is not very smart. Machines are not very good at learning. And every decade or so people seem to forget how long AI has been the technology of the future. Don’t get me wrong. I’m sure AI will deliver on some of the hype someday. But neither the experts nor the computers have a clue how to predict when that day will come. Which, you have to admit, is ironic. Sign up here to receive my latest posts directly in your inbox. Never spammy, always interesting. 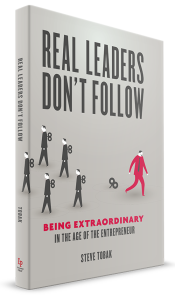 Also, I'll send you an exclusive FREE chapter of my new book. I promise, you'll love it. PS: I'll never sell or give away your email address. 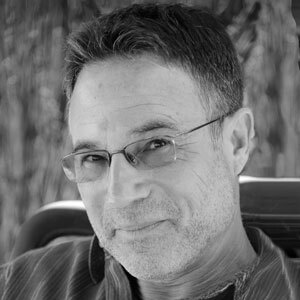 Schedule a free 30 min consult with Steve! 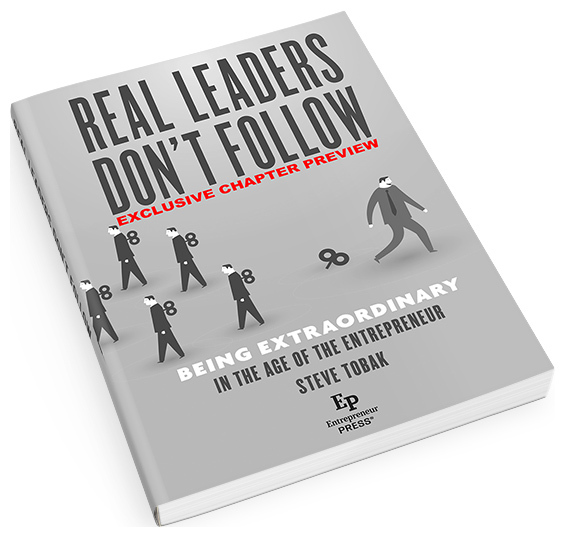 Subscribe to Steve’s posts and get one of his favorite chapters from his new book, Real Leaders Don't Follow, free! Burnout Is Not a Millennial or Societal Problem. It's You. Site by EMG. Photos by Sue Johnson.